Using a new combination of magnetic resonance imaging (MRI) and ultrasound, researchers from the University of Maryland have developed a more accurate diagnostic method for detecting prostate cancer. The dual imaging approach guides prostate biopsy collection in a way that is much more effective than standard biopsy methods. Distinguishing between high-risk and low-risk cancers may now be much more straightforward, enabling a more personalized treatment approach. Prostate cancer is a widespread disease that affects a majority of men. In some cases, the disease can be aggressive, requiring immediate treatment to prevent its spread throughout the body. In other cases, however, the cancer can be relatively benign, which may allow much less aggressive treatment approaches. The current standard of care involves taking biopsies with real-time ultrasound guidance. In many cases, however, the existing biopsy method is unable to determine if a patient has high-risk cancer or a lower risk type. 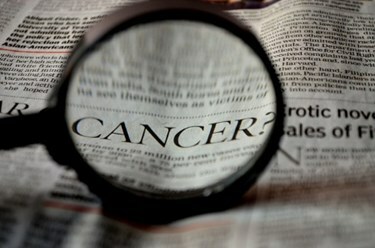 Recently, University of Maryland researchers developed a new method that could enhance the ability to identify high-risk cancers, according to a recent press release. The technique is called targeted fusion-guided biopsy, and it uses ultrasound for real-time imaging in conjunction with MRI to map the organ. The MRI images of the possible cancerous tissue are fused with the real-time ultrasound images to identify suspicious areas, which are then biopsied. Standard biopsies are much more random, because ultrasound doesn’t provide the resolution needed to identify more suspicious areas. The new technique was used in a large-scale study that included over 1,000 men, according a recent article published by the team in the Journal of American Medical Association. Comparison of the targeted fusion-guided biopsy to the standard biopsy approach revealed that the new method had identified 30 percent more high-risk cancers. Additionally, there were 17 percent fewer low-risk cancers identified. An inability to discern more aggressive cancers from those that are lower risk can have serious implications. Some treatments for aggressive cancers can lead to impotence or incontinence, and they include invasive surgeries to remove the organ. For the low-risk cancer types, tumors grow at a rate that is very slow. Because of this, the disease may not need to be treated, as it is unlikely to cause undue problems before the patient dies from other, more natural causes. While the results are very encouraging, Dr. Siddiqui and his team have plans to extend their research. Their next goal will be to determine if the new technique can provide a more reliable active surveillance of the disease. Monitoring what appears to be low-risk cancer in this way may allow treatment with fewer biopsies, while avoiding unnecessary, more aggressive treatments. Currently there is no well accepted advanced imaging technique for the diagnosis of prostate cancer. Recently, however, a new MRI-based prostate cancer diagnostic was introduced, which may help in the fight.